On this week's episode of Something Interesting From Last Week: audio commentaries! I love audio commentaries. For those of you who haven't experienced one, it's when someone records an audio track of them watching and commenting on a movie which then plays over the film when you watch at home. Usually it's the director, but you can get commentaries from anyone working on the film like producers, writers, or actors, as well as people who haven't worked on the film but are knowledgeable about it in some way like film historians or critics. There can also be commentaries from more than one person. The general idea is that whoever it is will explain things in the movie you may have missed, but ultimately anything goes as special features are rarely rated by the MPAA and commentaries are generally done all in one take and unedited. This is my favorite kind of commentary. 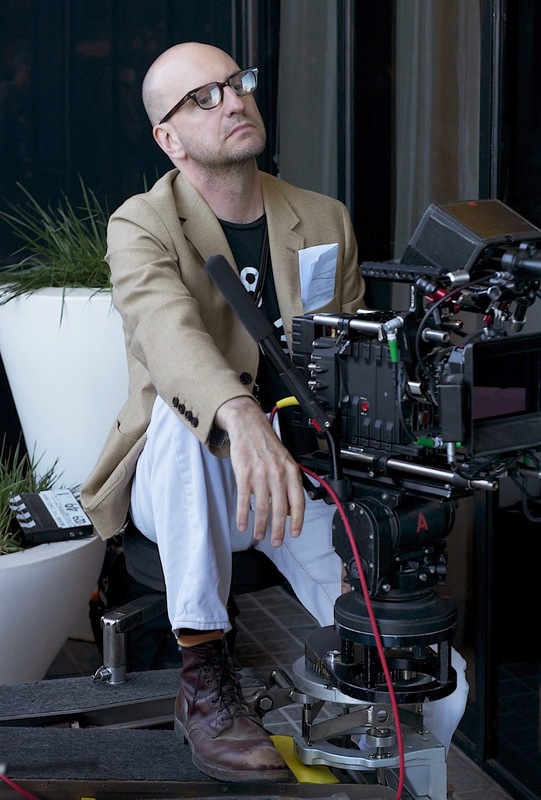 Steven Soderbergh talks for most of it about how it was shot, with Ted Griffin providing background information on differences between the original screenplay and the finished product. Griffin was also studying at the time under Soderbergh to become a director himself and asks some great questions about the decision-making process. This is the kind of commentary from which you can actually learn about filmmaking. They also tell a few anecdotes from shooting which provide some laughs, but they do a good job staying on-track and focused. Although it's not always the most informative, this is probably the most entertaining commentary I've ever listened to. Bruce Campbell is a really funny guy, and he delivers his commentary as his character from the film. Since he didn't have as big a part in making the film he doesn't have as much to share, but he does explain some interesting behind the scenes details like how certain shots or special effects were achieved. The real draw however is the hilarious way he does the commentary. This commentary is also fairly informative about how the movie was made with an emphasis on the writing aspects of pre-production. It's only downside is that Meyer spends a bit too much time talking about himself: how he views the Star Trek franchise, why he made certain decisions despite opposition, etc. There are some interesting tidbits (like the fact that Meyer was not a Star Trek fan himself, and his distinction between a great actor and a movie star), and there's enough information about the film's production to justify watching it if you're interested, but just prepare for a few tangents along the way. This is one of those commentaries that's really fun to listen to but not very informative. John Carpenter and Kurt Russell are really good friends and they spend the two hours doing what friends do: catching up and joking around. They do tell a variety of anecdotes about the movie's production, and there's some explanation of a few shots, but the majority of it is the duo chatting. It's really fun to get a peak behind the scenes, but it's not very enlightening. This commentary isn't bad, it's just unnecessary. It's on the same DVD as Bruce Campbell's (above), and all the information here is also in his but without his hilarious delivery and with fewer jokes and anecdotes. If you only have the option of listening to this one it does have some information to share, but there's a lot of silence as well and if you have the choice to listen to Campbell's there's no reason to listen to this one. I've listened to most of Bruce Campbell's audio commentary on the original 'Evil Dead' and I just remember how good it was. There are some good commentaries on the 'Citizen Kane' DVD. The best ones I've listened to are Paul Verhoeven on 'Total Recall' with Schwarzenegger, as well as 'Robocop' and 'Starship Troopers'. George Lucas on 'THX1138' and the SW prequels are also good. Some James Bond ones are really informative. I generally listen to audio commentaries a long time later after I've watched the movie. Oh I just got the Total Recall DVD with audio commentary last Christmas and it was great! I also generally only listen to commentaries for movies I've seen several times, although I had a torrid love affair with Michael Clayton where I watched the movie only twice before listening to the amazing commentary from the Gilroy brothers. I'd love to listen to some Bond commentaries since I think I've seen most of them but don't know very much about them (especially the older ones). Thanks!